In Coca-Cola > Coke Signs > Show & Tell. 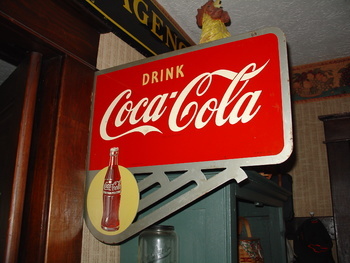 This Coca-Cola double-sided flange sign was found in northern Indiana yesterday on my way home from Chicago. The sign is in great shape for being 66 years old. 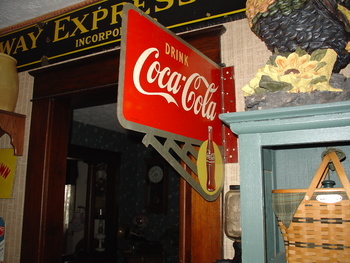 The sign is hanging in my kitchen. Where is the picture of you holding the sign like it is Christmas morning ? Thank you eye4beauty for the love and the funny comment! Have a great evening! Thank you Manikin for the love and the nice compliment! Hope your doing well! Outstanding sign and well placed Michael. Hard to find in that kind of condition. Daddy_Nobucks thank you for the love and the great compliment! That means a lot to me coming from you! To me you are the encyclopedia on here of Coke. This one is for all the Coke lovers on here! Haven't posted any Coke items in two years. Those great signs are still out there, just gotta find them where they're hiding. Thank you shughs and mtg75 for the love! Very nice find:) it looks like it was made yesterday. Is this something you stumbled upon or have you been admiring this for a while? Thank you Trey for the kind words and the love! No just got lucky and found it. Sometimes I think it's all about timing. I was just at the right spot at the right time. Thank you for asking. Enjoy your evening! Thank you Longings and rikanddonna for the love! You're right...anything 66 years old that looks that good is in great shape!! 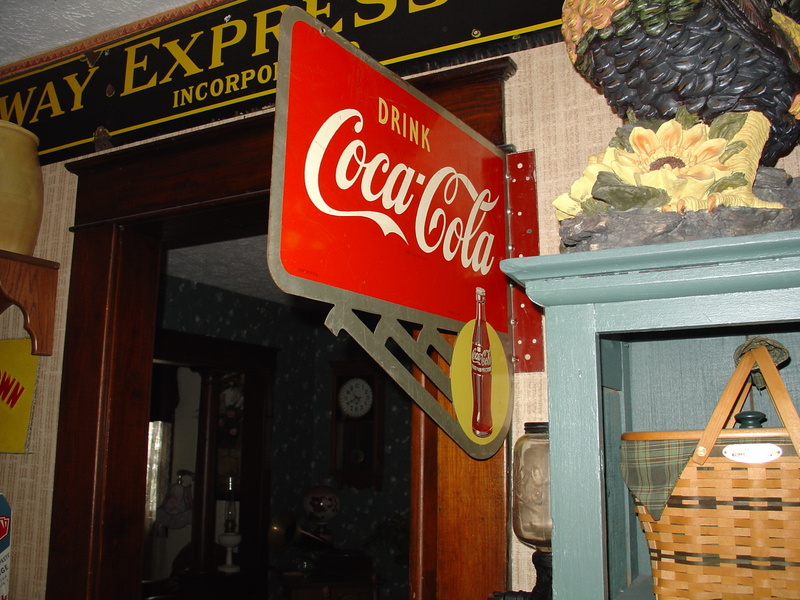 I've always liked that sign... Nice find for sure. 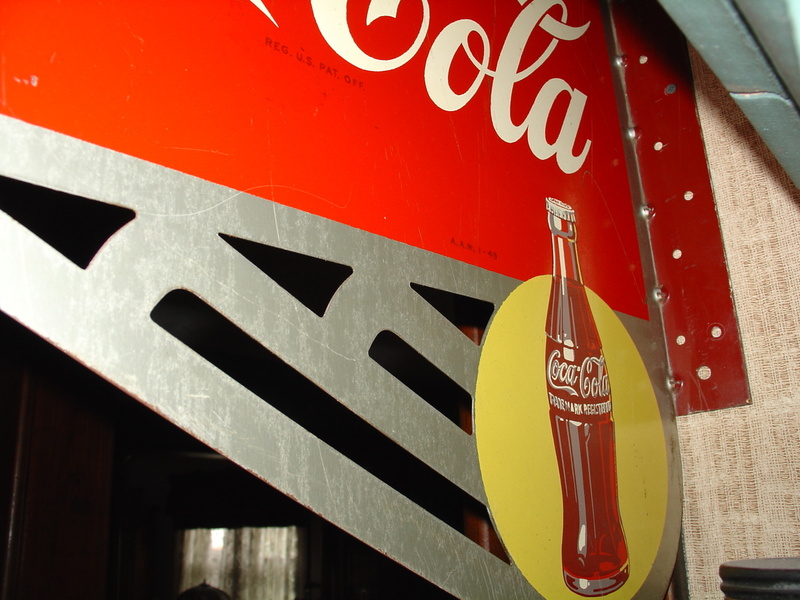 Thank you Nova and Coke1234 for the love and the great comments! Thank you Roycroftsbooksfromme1 and MooreAntique for the love! Outstanding find, it's in excellent shape! Thank you sanhardin and valentino97 for the love! Thank you Eyewideopen and farmlady for the love! Thank you mikelv85 and chevy59 for the love! Thank you EJW-54 and egreeley1976 for the love! Thank you Chevelleman69 and blunderbuss2 for the love! Sweet sign Michael, love to have that one myself! Thank you ttomtucker and AntiqueToys for the love! Thank you sugargirl and Edisonfan for the love! Thank you leighannrn and Designer for the love! Thank you chrissylovescats and snowman3 for the love! Thank you fortapache and crswerner for the love! Thank you bstjohn and Beachbum58 for the love! Also thank you bstjohn for the nice comment! Thank you Cathy1234 and walksoftly for the love! Also thank you Cathy1234 for the comment! Thank you trukn20 and usedcarlady for the love! Thank you Bobbyhole for the love! Thank you Ted_Straub for the love! Thank you pickrknows for the love and the nice comment! Thank you StillLearning for the love! Thank you Signaholic for the love! Thank you rniederman for the love! Thank you SEAN68 for the love! Thank you kerry10456 for the love! Thank you CokeKid-04 for the love! Thank you Nicefice for the love! Thank you Earlydisneycollector for the love! Merry Christmas! Thank you robe04 for the love! Merry Christmas! Thank you Neighborsguysfan and rustyboltz for the love! Thank you brunswick and SPEEDWAYPICKER for the love!